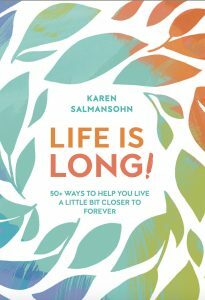 Inspired by the trend of “open when” letters sweeping the nation, Instant Happy author Karen Salmansohn has created a bound collection of 12 notes for readers to flip open whenever they need a pep talk. 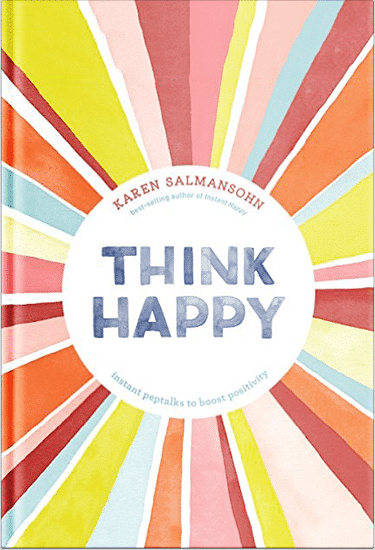 With categories like “Open when you need a laugh,” “Open when you’re feeling stressed out,” and “Open when you need courage,” these little happiness-boosters are based on Salmansohn’s viral posters that combine witty sayings with colorful graphics, replicating the excitement of opening a secret note. I loved it! Small and right on with the answers. I wanted this little book because I thought it was the cutest little thing!! It also got here in perfect timing. I've been having a rough few weeks and this book brought up my spirits. I definitely recommend this book to anyone. If you've had a bad day, pick it up. If you need a pick-me-up, read it! It's so inspirational to look at a book like this, everyone should have one. Absolutely love this!! What a true treasure to find. It made for a simple but very touching going away gift! I've seen books around like Open When. Books having unique and creative ways of sharing inspiration there cute funky little books. 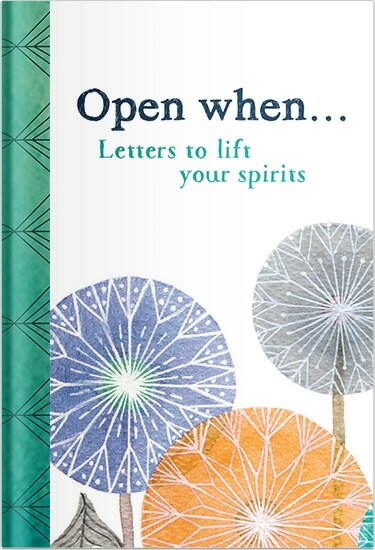 Open When..Letters to life your spirits is a quick pocket book filled with quotes and sayings to hopefully make you feel better. Also some of them have little actions for you to do. So Open When is a very nice experience to read and maybe pass it on to someone else in need. A sweet little book! I made small note cards to go with each page and gave it to those who just need a lift up ! Beautiful Book!!! The words are like music to me and uplift my outlook on life. Each letter is unique and focuses on different aspects of life. Love the artwork! I hang the letters up in my home and also in my classroom to bring the positive messages to my students and staff. I would highly recommend this book! Makes a perfect gift to give to loved ones and also for oneself. LOVE LOVE LOVE this little gem of a book!